Perhaps there’s a lot more to modern software development and digital transformation than you think. 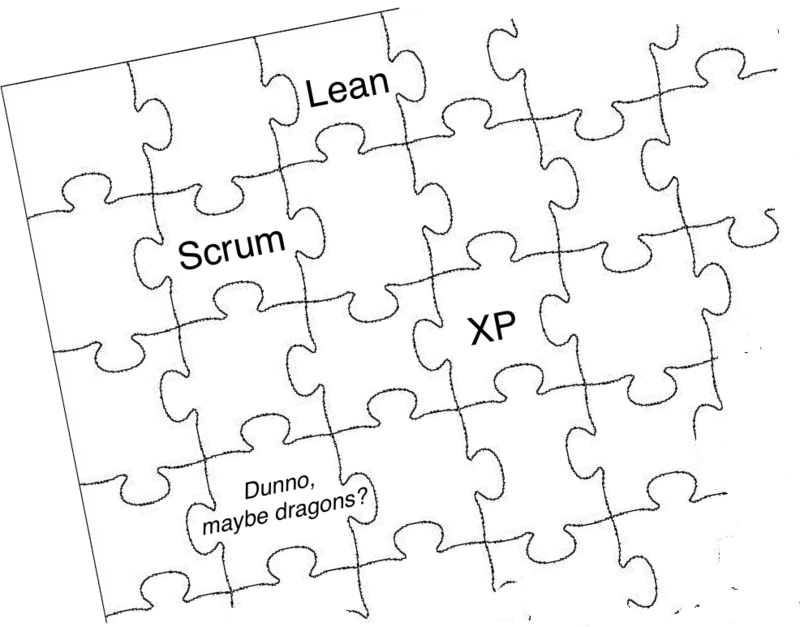 Scrum, Lean, DevOps and agile approaches are each only one small part of the picture. To be successful in the new economy, you need more. You need to fill in the missing pieces. You need the GROWS Method™. 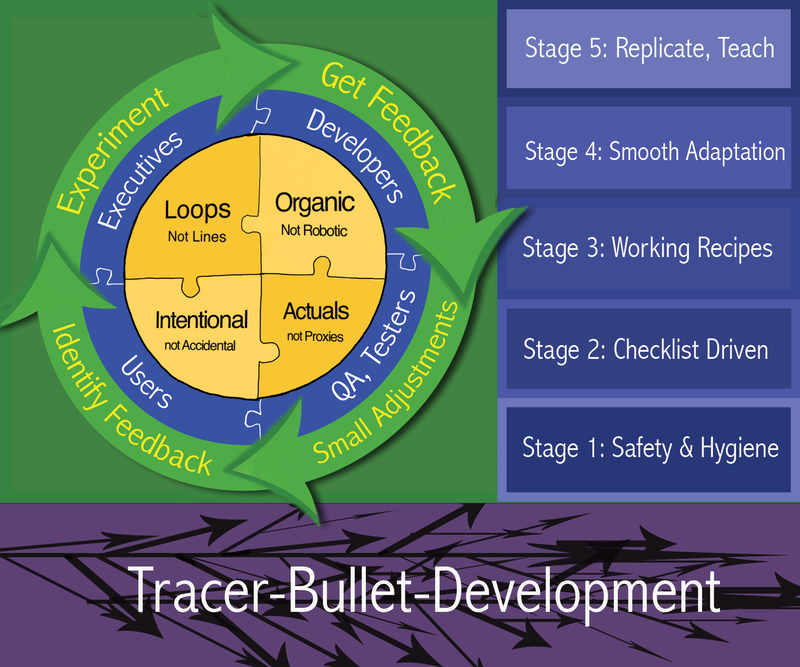 The GROWS Method™ helps you grow software and grow skills using fast-feedback experiments, Tracer Bullet Development, and organizational learning practices. Predictable: enjoy the consistency of regular, continuous delivery of software that your business needs using the right rhythm. Repeatable: relax in the comfort of stable, reliable and proven technical and engineering practices that reduce risk and unpleasant surprises in production using the right way. Traceable: know you’re supporting executive and organizational goals by building what’s needed to meet today’s reality by building the right thing. What is the GROWS Method™? Ready to get started? Here are some tips and initial steps to get you headed in the right direction. Ready to dive in with an overview of the GROWS Method™ and in-depth descriptions of the processes and seeds? Dig deeper and learn what the GROWS Method™ is all about. Ready to make it real and start growing your organization? We offer workshops that will jump-start everyone’s understanding and get you off on the right foot. "I especially like the GROWS Method™ fixed-rate understanding of team velocity. I've used that idea on a project where I was able to show that given our task list and our current velocity (reported daily on a wall calendar), we needed help. We got it, and I was then able to show we were on track." "The themes that hit closest to home for me were aligning my work with Executive Vision/Initiatives, permitting Experimentation and tracking my growth through a Learning Journal. I recommend learning how the GROWS Method™ can help your team grow through the application of Agile and Lean methodologies and beyond." "Best presentation of the conference. Best articulation of the usefulness, right use, and limitations of agile." "Spread this information to masses—this is what the real world needs"
See our Frequently Asked Questions page for answers to common questions. Read our Articles on GROWS for more in-depth discussion on popular topics. Check out the Overview of GROWS, or our short Getting Started Guide.